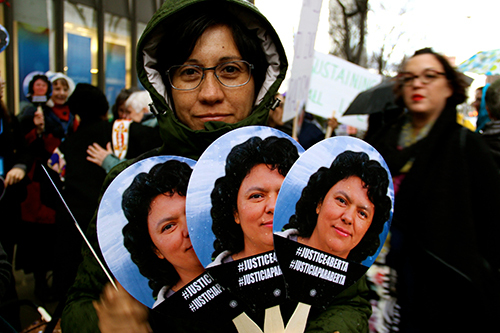 GENEVA – More than a month after Berta Cáceres’ murder, United Nations experts – including Maina Kiai – have reiterated their appeal to the Government of Honduras to provide justice and reveal the truth in the killing of the woman human rights defender, and to ensure the security and protection of all people defending the environment and human rights in the country. 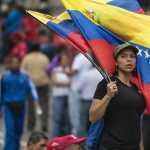 “We reiterate our call for a fully independent, impartial, transparent investigation of Berta Cáceres’ assassination and in this regard we support the request made by the relatives of the victim that a group of experts be established under the authority of the Inter-American Commission on Human Rights,” they recommended. The experts: Eleonora Zielińska, Chairperson of the Working Group on the issue of discrimination against women in law and in practice; Victoria Tauli-Corpuz, Special Rapporteur on the rights of indigenous peoples; Michel Forst, Special Raporteur on the situation of human rights defenders; Maina Kiai, Special Rapporteur on the rights to freedom of peaceful assembly and of association; David Kaye, Special Rapporteur on the promotion and protection of the right to freedom of opinion and expression; Dubravka Šimonović, Special Rapporteur on violence against women, its causes and consequences; John Knox, Special Rapporteur on the issue of human rights obligations relating to the enjoyment of a safe, clean, healthy and sustainable environment; and Başkut Tuncak, Special Rapporteur on the implications for human rights of the environmentally sound management and disposal of hazardous substances and wastes.